The Toothette Plus Swabs are for people who have sensitive gums, use dentures, or would like to use the swabs to reduce the risk of pneumonia. 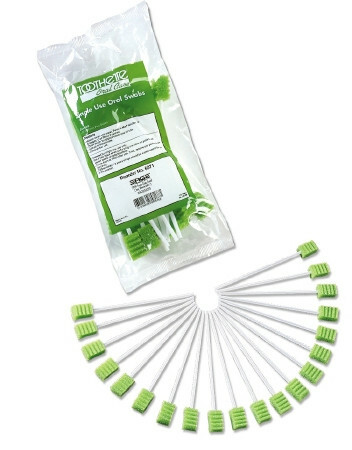 The swabs are used by caretakers and nurses to administer a safe, gentle and clean massage on the gums when it comes time to rest or whenever it is needed. 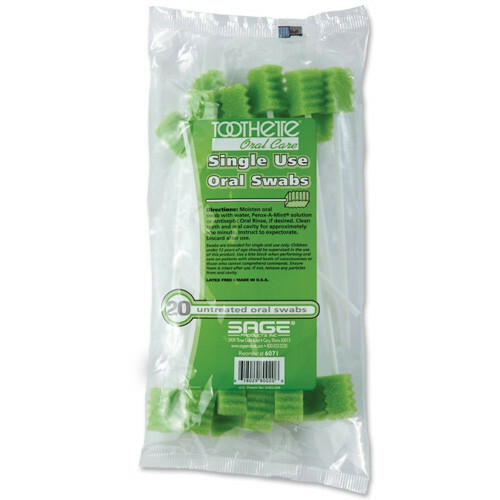 The Toothette Plus Oral Swabs with Sodium Bicarbonate helps keep the gums clean through the use of baking soda and includes a distinct edge that helps lift debris and mucus from within the walls of the mouth and around the gums. The solution is provided to help remove some of these left-over residues from wearing dentures and reduce the risk of infections. Traditional toothbrushes do not provide oral health as great on gums, they are hard and if soft, just are not up to performing the job properly. With an extended handle, you are able to reach far back between the walls of the cheek and the gum to reach areas that are hard to get to. The Toothette Plus Untreated Swabs keep usage of the swabs at a maximum level, by the oral swab being made of latex-free material, it can be used by many patients regardless of sensitiveness to latex material; making it one great choice across the board. 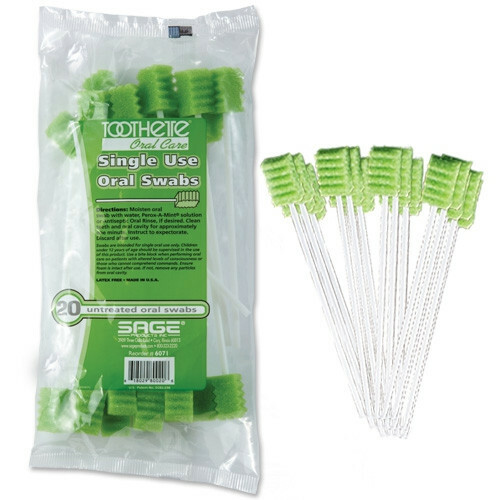 The solution for the oral swab such as the Sage Toothette Mouth Moisturizer can be purchased separately. 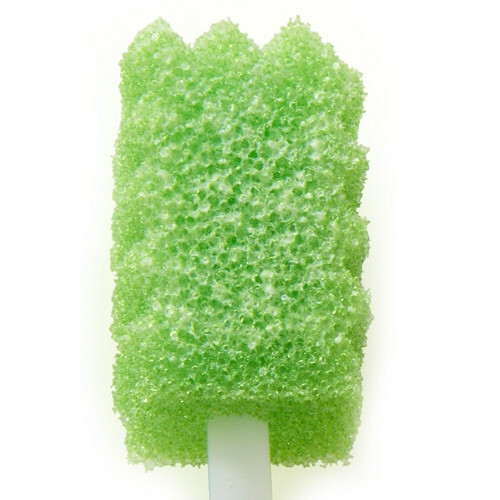 Oral swabs infused with a solution such as a Perox-A-Mint foam tip are available as an option. 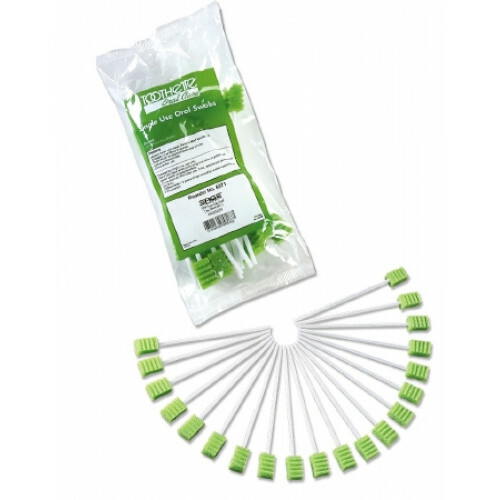 These swabs make bedside oral hygiene easy and effective.